(pH 3.33, TA 6 g/lt, rs 2.5 g/lt, organic wine, 1200 bottles). This is produced from a single vineyard in the PDO zone of Patras at an altitude of 850m. The exact location is Ano Pythos. Unirrigated bush-vines, almost 50 years of age, on limestone soils, produce low yields of just 12.5 hl/ha with significantly high natural acidity. The must is fermented with the stems and skins in clay amphorae, with a total extraction period of 21 days. Spontaneous alcoholic and malolactic fermentation is followed by 6 months maturation in neutral oak. The colour is amber and the nose opens up with a lovely range of aromas reminiscent of tangerine zest, candied apricot and apple, together with white pepper. Quite intense. The palate is delicious, medium bodied, with a creamy character and firm tannins that are not aggressive, but add power and excitement to the wine. Fresh acidity provides energy to the wine, which has quite a long finish marked by peppery and herbal notes. 91/100 (Decanting is suggested here, along with the use of a proper glass. Serve at room temperature). Suggested retail price in domestic market €20. (Harvested in September 29, two vineyards at 1000 and 1200 m high, open top fermentation with daily punching downs, maturation in 300 lts oak of second and third use, 13.5% abv, pH 3.4, 800 bottles).Tsiakkas winery was established in 1988 just outside Pelendri village on the Troodos Mountains, in the Pitsilia wine region of Cyprus. One of the pioneering wineries of Cyprus that produces wines with purity of fruit and character. The variety, Yiannoudi, a recent discovery of the Cypriot wine scene, produces structured and full bodied wines. At the moment it is limited in its plantings, only a few hectares by Zambartas, KEO, Vouni Panayia and Tsiakkas. If I compare the wines I have tried made of Yannoudi to the ones I have tried made of Maratheftiko which is the other classic Cypriot indigenous red variety, Yiannoudi takes the lead. 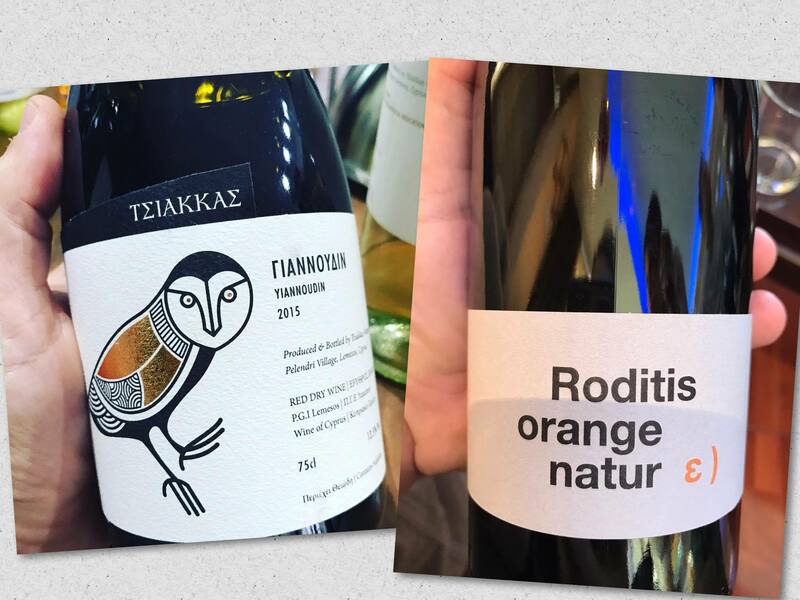 Maratheftiko tends to produce more rustic and edgy wines. The 2015 Yiannoudi, which I tasted at the winery a week ago, is a gorgeous expressive wine, with aromas of crushed black pepper, blackberries, black cherries and just a touch of oak, which is handled in a fine way. The palate is refined, velvety, with plenty of texture and tannins, that are splendidly balanced. A wine that paves the way for Cypriot reds. 92/100. Suggested retail price in domestic market €18.